This conversation on health and wellness tips for winter is sponsored by BabbleBoxx.com. All opinions are my own. Today I am sharing 8 great health and wellness tips for Winter, as well as a handy water intake tracker printable to help you stay on top of your health and wellness this winter. The Winter Games are starting this week – are you as excited as I am? I love watching the games, especially the bobsledding and figure skating. All of the athletes are amazing and so inspirational. The Winter Games have got health on the top of my mind, so I wanted to share Winter health and wellness tips as well as some great products that I have incorporated into my Winter routine. Plus, at the bottom of this post you will find a handy-dandy printable water tracker available for download! It can be all too easy to fall into a routine of eating high-fat, high-carb, comfort foods during the Winter. Trust me, I know this all too well! Remember that it is important to eat healthy and nutritious foods all year long, even during the cold Winter months. Winter is the perfect time to enjoy Winter veggies such as kale, cabbage, cauliflower, and brussels sprouts. Snacking is often my husband and I's downfall when it comes to eating a healthy diet. To help snack healthier I am making it a point to have healthy snacks on hand at all times. We keep baby carrots, hummus, nuts, yogurt, and popchips Peanut Butter nutter puffs in the house so that when we are cravings something sweet, savory, or salty, we have some decent options. Popchips has always been one of my favorite snack brands. Right now I am totally digging their new Peanut Butter nutter puffs. 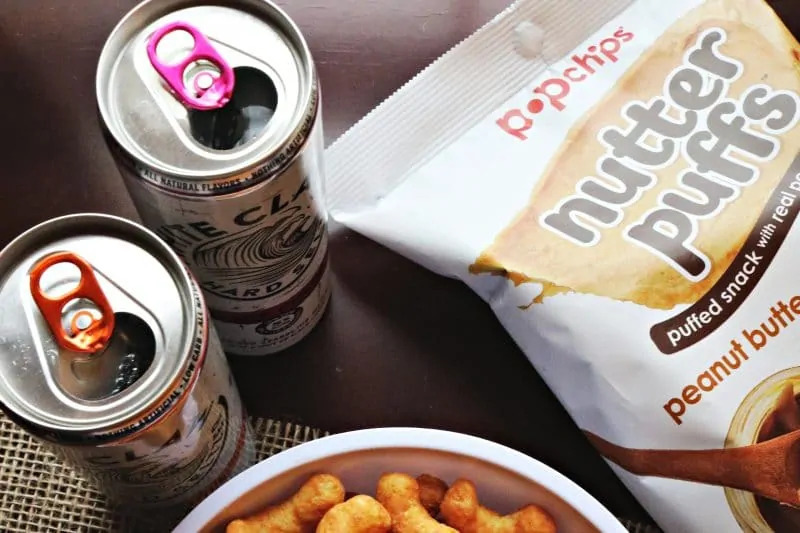 When salty-sweet cravings kick in, at only 130 calories per serving popchips Peanut Butter nutter puffs are the perfect option. 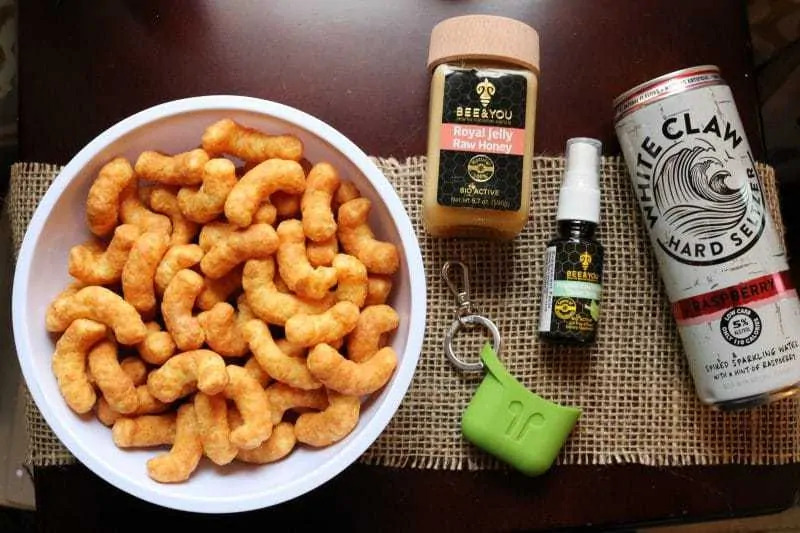 These peanut buttery puffs are non-GMO, gluten free, and made with real peanut butter. They even pack an impressive 5 grams of protein per serving! 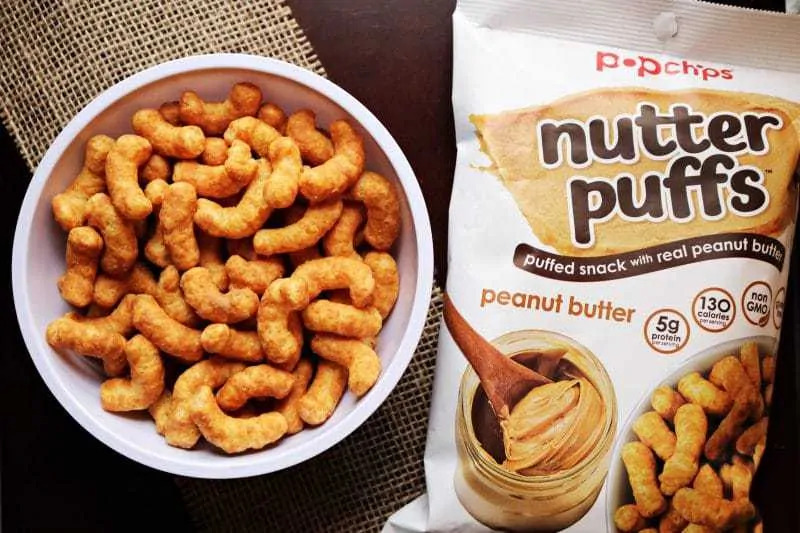 Popchips Peanut Butter puffs are available at grocery stores nationwide or at nutterpuffs.com. Staying hydrated isn't only important in the summer, but it is important all year long. In the cold Winter months our skin is especially prone to getting dry and chapped. Drinking water will help to keep you and your skin well hydrated. So, be sure to drink your 8 glasses of water each day! 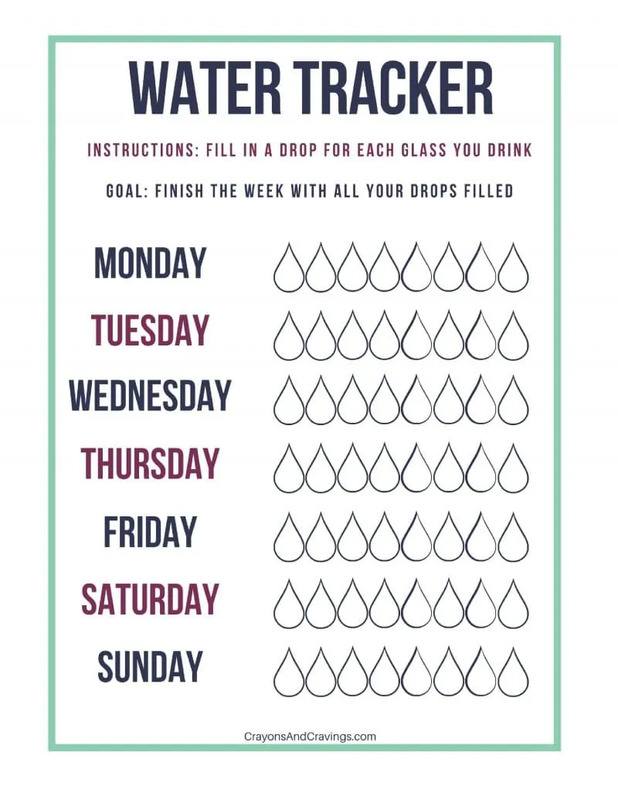 You can use the printable water tracker included at the bottom of this post to help you track your daily and weekly water intake. If plain water doesn't do it for you, try drinking a sparkling water or seltzer. Some people, myself included, prefer something carbonated and with a hint of flavor to a plain glass of water. Just be sure to check the nutrition label to make sure you choose a seltzer or sparkling water that is sugar, calorie, and sodium free. 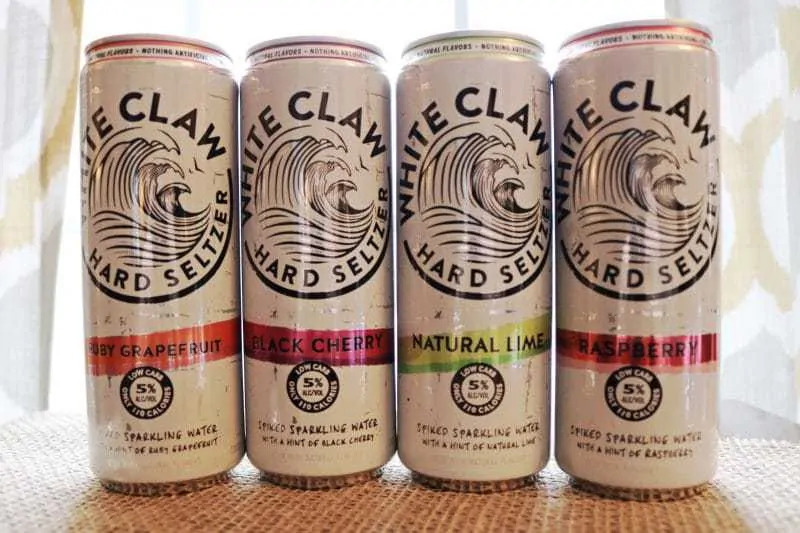 Speaking of seltzer, have you tried White Claw® Hard Seltzer? For those of you who are seltzer-lovers like myself, you will love the simplicity of White Claw Hard Seltzer. 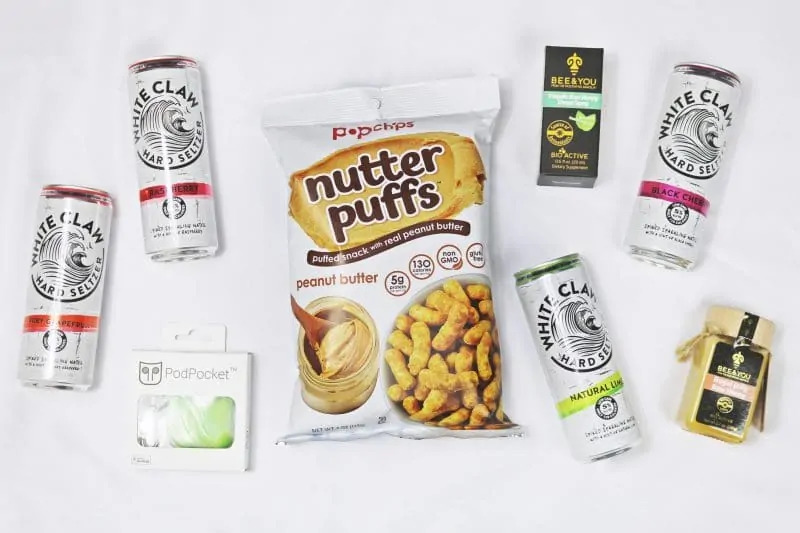 Made with no artificial ingredients and at only 100 calories per bottle, White Claw Hard Seltzer is the perfect low carb and low calorie option for when you want to enjoy an alcoholic beverage. White Claw Hard Seltzer comes in 4 refreshing flavors: Black Cherry, Ruby Grapefruit, Natural Lime and Raspberry. After trying them all, I am still undecided about which flavor is my favorite. I really enjoy them all! 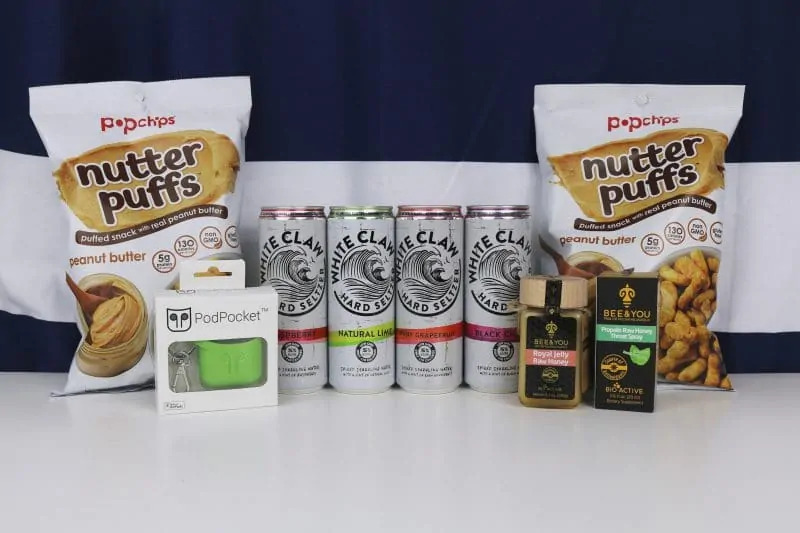 To find a liquor store that carries White Claw Hard Seltzer near your, check the locator at WhiteClaw.com. Make it a point to get outside and get some fresh air and sunshine – even when it is cold! If you don't want to go outside, at least crack open a window and help circulate out the stale air while letting some fresh air come into your home. It is important to stay active, even in the winter. Although going for a jog or a bike ride with snow on the ground may not sound very tempting, winter isn't an excuse to slack off from your workout routine. There are plenty of great ways to workout inside, like riding a stationary bike, elliptical, or treadmill. If you don't have one at home, consider a membership at a local gym. I don't know about you, but I can't workout without some good tunes. Upbeat music is a must for me. If you use AirPods, you should consider investing in a PodPocket AirPods holder. 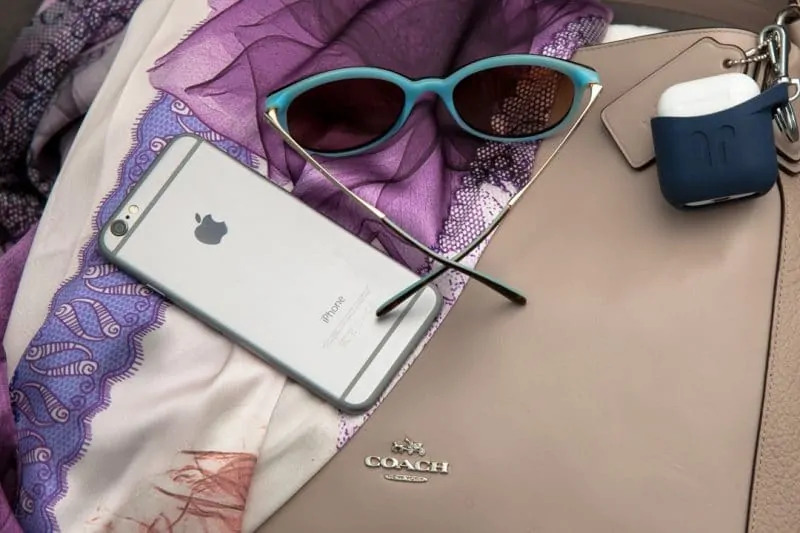 This lightweight silicone AirPods accessory helps keep your AirPods easily accessible and prevent them from getting lost. 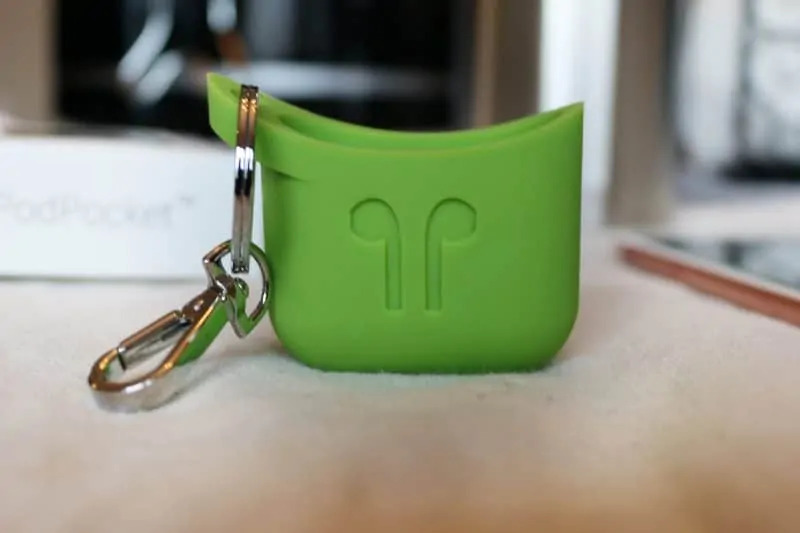 Simply clip your PodPocket to your keyring and you will have your AirPods handy at all times. Pod Pockets are available online at PodPockets.com. It is no secret that viruses run rampant during the Winter. Be sure to wash your hands often to decrease your odds of getting sick. This is something that I am terrible at remembering to do. Heating systems often have air filters which need to be switched out every month or so. It is important to remember to change out your air filter to keep the air you breathe as clean and allergen-free as possible. To be honest, I just recently learned about the many benefits of raw honey. Raw honey is great for everything from increasing endurance to improving focus. 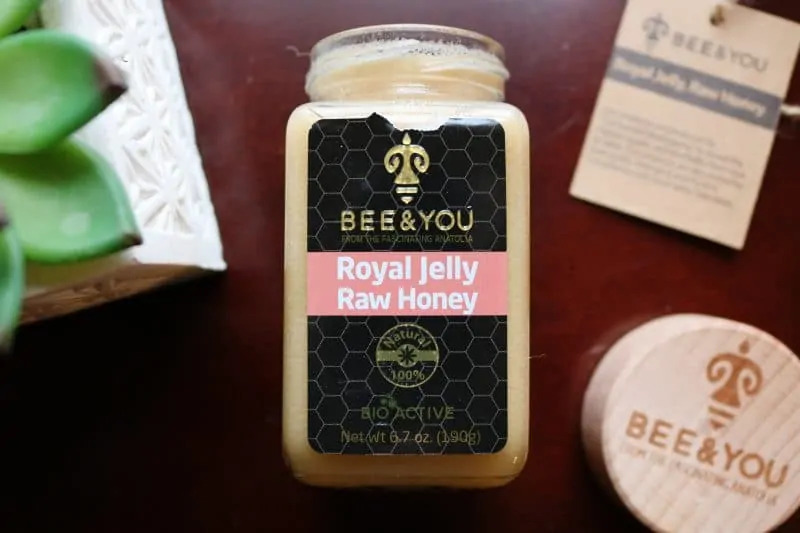 BEE & YOU Royal Jelly Raw Honey is a premium quality unfiltered and unpasteurized raw honey packed with essential proteins, oils, vitamins, and carbohydrates. While BEE & YOU Royal Jelly Raw Honey is great to use all year round, I find it especially useful in the Winter months due to its ability to boost our immune system. Another excellent product to keep on hand during the colder months is BEE & YOU Propolis Raw Honey Throat Spray. 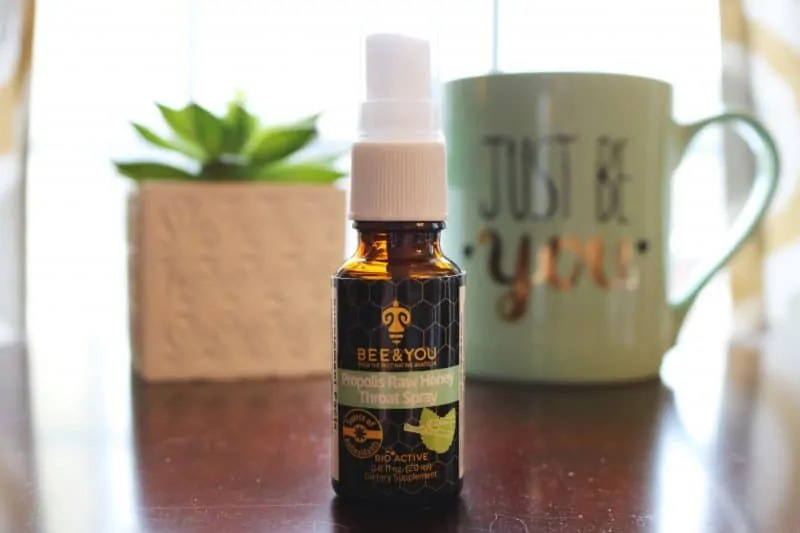 This throat spray uses propolis, a natural bee product packed with powerful antibacterial, antibiotic, anti-inflammatory and antiseptic properties, to work to help ease coughs and throat irritation while providing support to the immune system. Propolis is perfect to incorporate into your health plan both to prevent getting sick, as well as shorten the duration of a cold or sore throat should you come down with one. BEE & YOU Royal Jelly Raw Honey and Propolis Raw Honey Throat Spray can be purchased online at bee-and-you.com. Use promo code SPC20 for 20% off through 2/16/18. I created this simple water tracker printable to help you stay on top of your water intake this Winter. Simply click the image below to download the water tracker, and then print it out. Enjoy! What are your favorite health and wellness tips for Winter? Did we forget any great tips? Let us know in the comments below! I need a pod pocket! I had no idea that they even made such a thing. lol Thanks for sharing! I’ve been trying to get back into healthy habits, but the weather always sets me back. These are things I can keep up with, though, and I love the water tracker. I’m feeling motivated to get back on track!